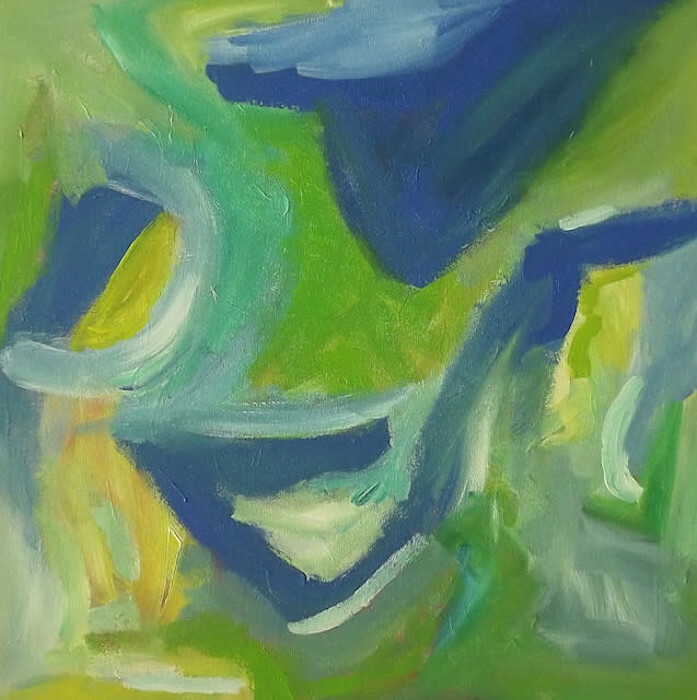 This is one of a series of three paintings in blues and greens that I painted for my living room over the sofa in our condo on the beach. I've since moved and rearranged everything, so I'm willing to let these fun, coastal paintings go. The edges are painted a silvery gray and it is wired and ready to hang. Free shipping!